If you’re in talent acquisition, you’ve probably heard that a million times. At this point, you’re rolling your eyes. The question is - has anyone ever actually told you how to think like a marketer? If not, this post will demystify what it means to “think like a marketer” and provide the tools you need to apply traditional marketing principles to your talent acquisition strategy. Increasingly, there’s a convergence between consumer and talent brand. According to the Universum 2020 Outlook: The Future of Employer Branding, 81% of executives believe that by 2020 there will be a strong connection between consumer and employer brands. Not only will this framework set you on the right path in building your talent brand strategy, but it will also facilitate collaboration with your marketing team by putting you on common ground. Once you’ve framed your strategy, you can start applying the following marketing tools to refine each of the above four buckets. If you’ve ever taken an intro to marketing class, I’m sure the “4 Ps” will ring a bell. They’re a foundational pillar of marketing and can be used to define an talent brand strategy as well. Product: These are the goods and services a company offers. Factors like design, quality and features are all critical pieces when developing a product. For talent brand purposes, the products are the jobs themselves and the factors you consider are responsibilities, seniority, benefits, and more. Price: Price is the actual cost of goods or services offered by a company. In the context of talent brand, you can think of the price as the prestige of your jobs. Are your jobs highly coveted and in demand, or are they viewed less favorably? Are your jobs Ferraris or Fords? Not that there’s anything wrong with a Ford, but a Ferrari is going to be more desired and attract a higher caliber buyer, or in this case, a higher quality candidate. It’s ok if you have some jobs that are Ferraris and some that are Fords. What’s important is to know the difference and to focus on building buzz and desirability around your most critical roles. Promotion: This is the “P” we think about most often when we think of employer brand. For both marketing and talent branding, promotion is all about what types of methods you use to get word out about your product. Whether it’s advertising, PR, your sales force, or your recruiters, all of these are forms of promotion. Place: Place is where your products are sold. For you hiring needs, this represents where jobs are “offered” up to people: career websites, social media, employee referrals, etc. Different types of jobs may require different places. For example, your senior level positions and internships probably won’t be promoted in the same places. A SWOT analysis helps you think through your company’s Strengths, Weaknesses, Opportunities, and Threats. Completing this type of analysis will give you a good lay of the land when it comes to your ability to hire the right talent. 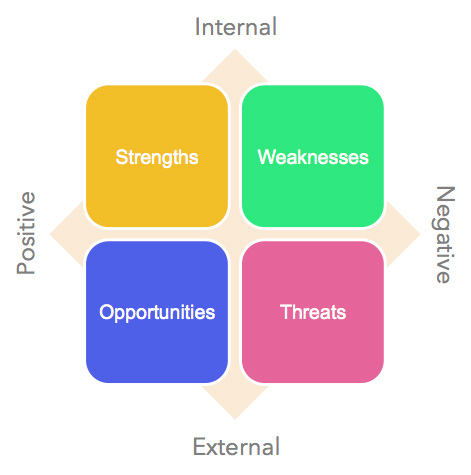 Each of the four areas in a SWOT analysis falls on a spectrum of positive or negative and internal or external factors. 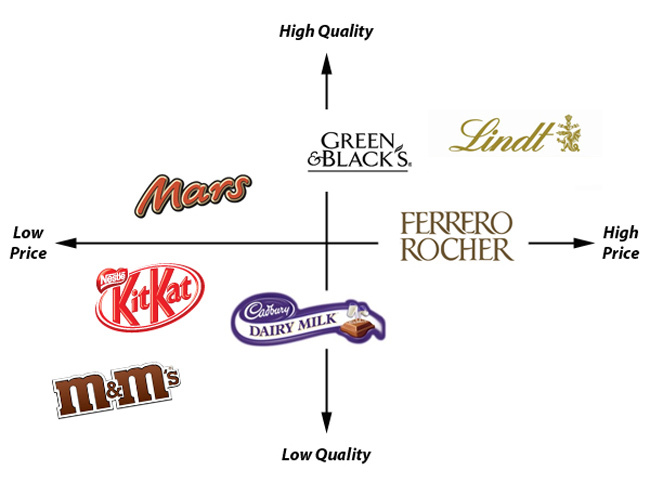 So how do you do this for employer brand? Assess your strengths: Think about what characteristics give you an advantage. What makes your company a great place to work? The items you list here can be used as the basis of a value proposition or as differentiating factors between you and your talent competitors. Admit you have weaknesses: Every company does and you shouldn’t be afraid of them. By knowing what characteristics of your company put you at a disadvantage, you can downplay those areas and highlight your strengths that counterbalance them. For example, maybe your jobs require long hours, but you have a great vacation policy to balance that out. Whatever you do, don’t promise things you can’t deliver on to try to cover up a weakness. Look for opportunities to gain leverage over other companies: Opportunities aren’t necessarily strengths that you have today, but could move into that category if developed in the right way. Perhaps there’s an opportunity to open a new office in a market flush with talent, or a new product innovation that will woo the engineers that you need. Know your threats: Threats are external factors, often out of your control, that can make it difficult for you to hit your hiring goals. Maybe you’re thinking about the future of your company and worried about the lack of STEM talent? By acknowledging threats like this, you can proactively build a defense strategy to combat them. Perhaps on-the-job learning will arm your employees with the STEM skills your company needs. A positioning map is a tool that lets you assess your position in people’s minds vs. other companies; it’s an exercise that can help you figure out how best to differentiate yourself from the competition. You can do something similar for your talent brand. Figure out what factors you want to measure yourself against. This could be things like pay and benefits, challenging work, or learning and growth opportunities. You will likely need to do different maps for different types of roles. Sales people and R&D scientists, for example, will probably need to be mapped using different factors. This isn’t an exact science, and it’s ok if you don’t have complete information about people’s perceptions of all the companies you use. But, the insight you can glean from this exercise can lead you in the right direction. An audience segmentation exercise gives you a good picture of what your ideal candidates look like beyond the normal criteria required for a search. 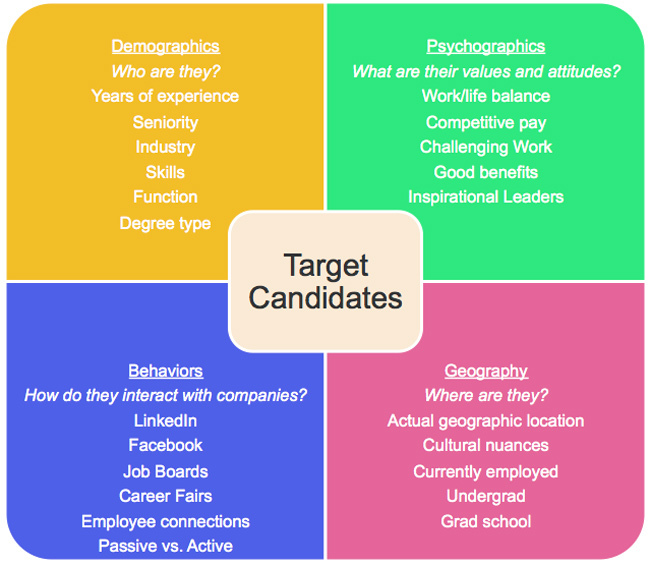 For each hiring segment you have, you should define your target candidates on four key aspects: demographics, psychographics, behaviors, and geography. The diagram below outlines the types of things you need to consider within each of these categories. Completing this exercise gives you a more rounded view of your target candidates, which can inform the messaging that you put out. You can take audience segmentation even further by developing unique personas for each key group of target candidates that you have. In marketing, a persona is a fictional character created to represent the different types of users for your products or services. In talent branding, a persona is a fictional character created to represent the different candidate types that would be a good fit for your jobs. It can be hard to look at a set of criteria for a candidate and really get a good feeling for how to message to those people and create an emotional connection. It’s just as hard to look at someone’s resume and decide if that person would have the right cultural fit with your company. 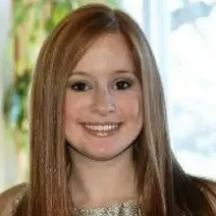 Creating personas alleviates this problem by putting a “face” to a set of criteria. Andrew is a sales professional with 10 years of experience. For the past two years, he’s been managing a small team of people at a tech start-up. He’s wants to make a change and work for a larger company that would give him the chance to travel and gain global work experience. He has been going to networking events and reaching out to old colleagues to learn about new opportunities. 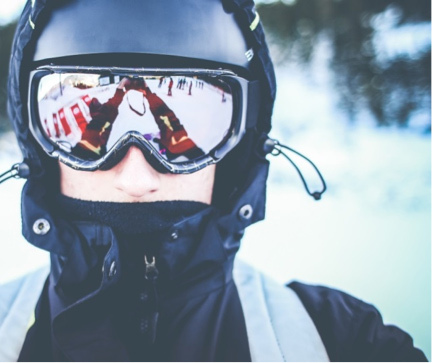 In his free time, he enjoys skiing and he’s quite the movie buff. He also volunteers at his local pet shelter and is active in promoting animal rights. No one expects you to turn into a marketing professional overnight, or at all for that matter. But incorporating these marketing principles when building your talent brand strategy can make you a better talent acquisition professional. Collaborate more with your marketing team and build a partnership that will help both your consumer and talent brands excel. Identify a couple people on your marketing team, maybe a social media manager or digital marketing specialist, and share your goals and plan with them. A simple conversation over coffee could open the door to a fruitful alliance.